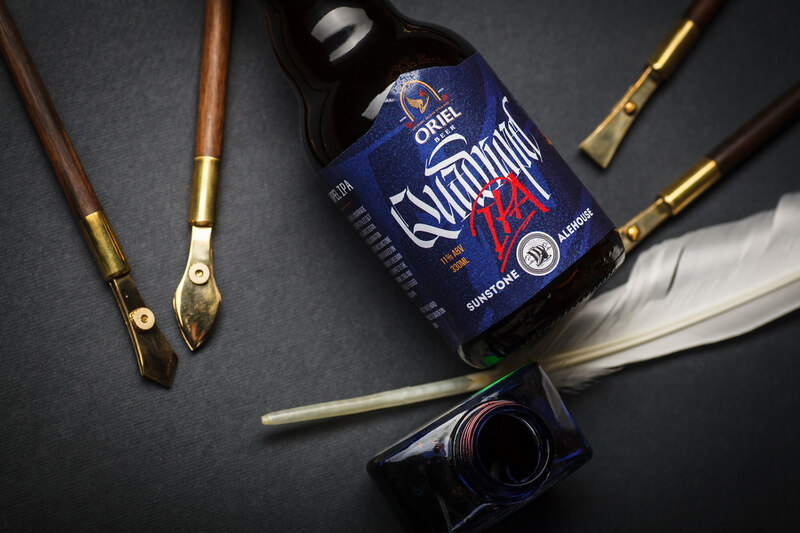 A new project by our studio’s own brewer Sunstone Alehouse, this time created in collaboration with a relatively new but already well-known Bucharest-based brewery Oriel Beer. 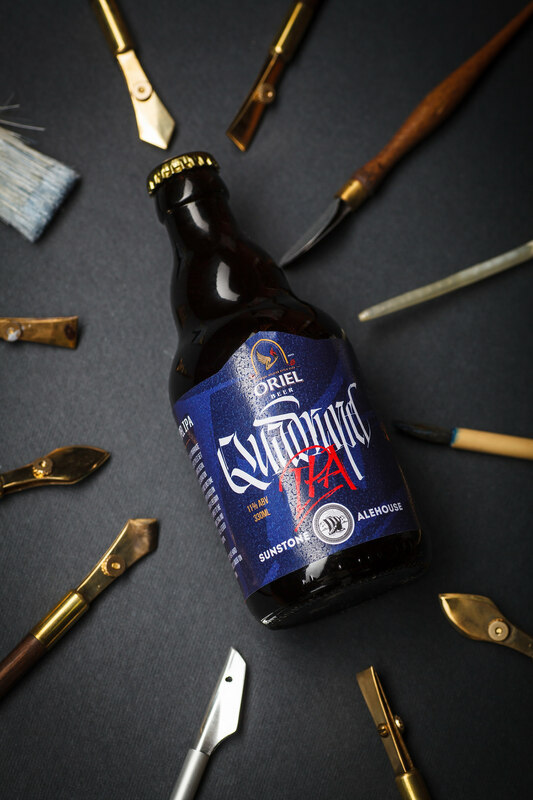 This brewery focuses specifically on Belgian brewing traditions with their peculiar intense beer styles. 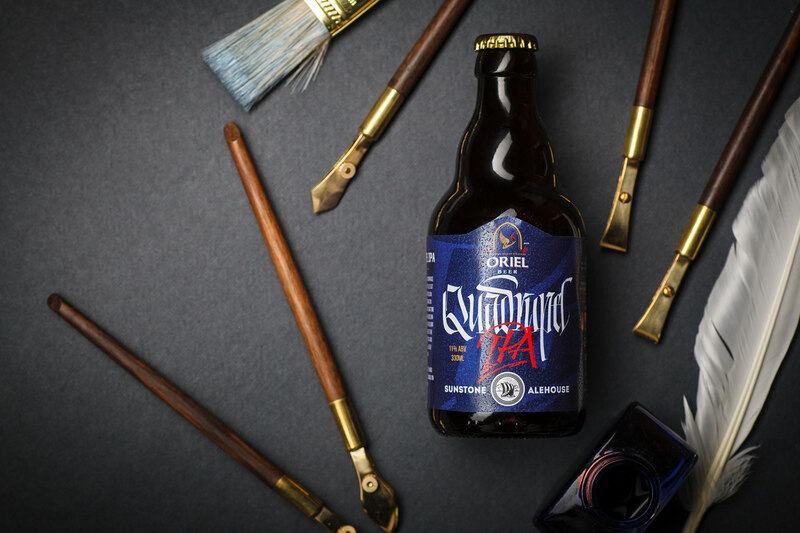 That’s why the base for this new collaboration is a traditional Belgian abbey style, Quadrupel, which is known for its strength and rich flavor. 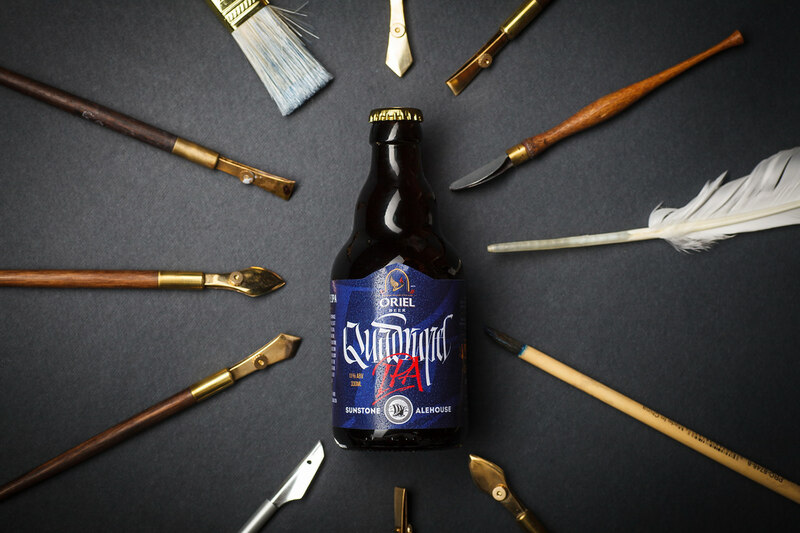 However, it used a large amount of American hops, making it a hybrid of Belgian and American beer styles - a Quadrupel IPA. 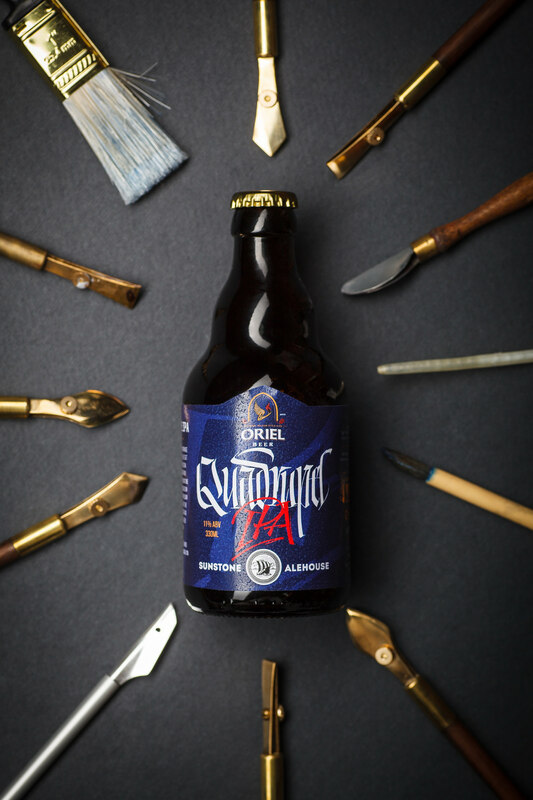 The label design for such an unconventional beer also offers an unusual approach. 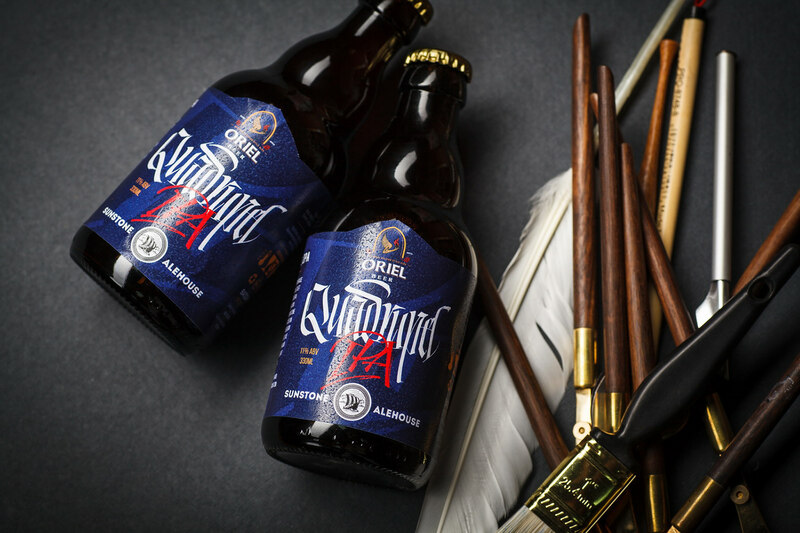 The main visual accent in the composition is placed on the name of the beer itself, written by hand in two distinct manners. 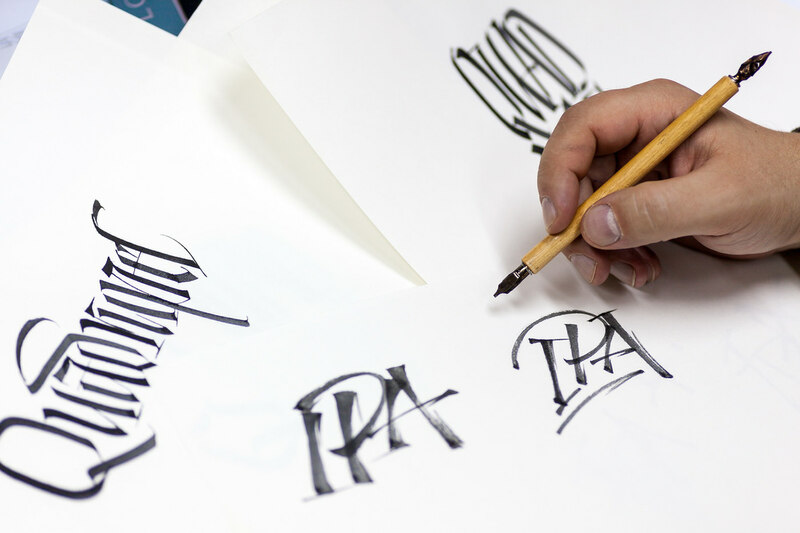 First there’s the strict gothic font emphasizing the European roots of the word Quadrupel. 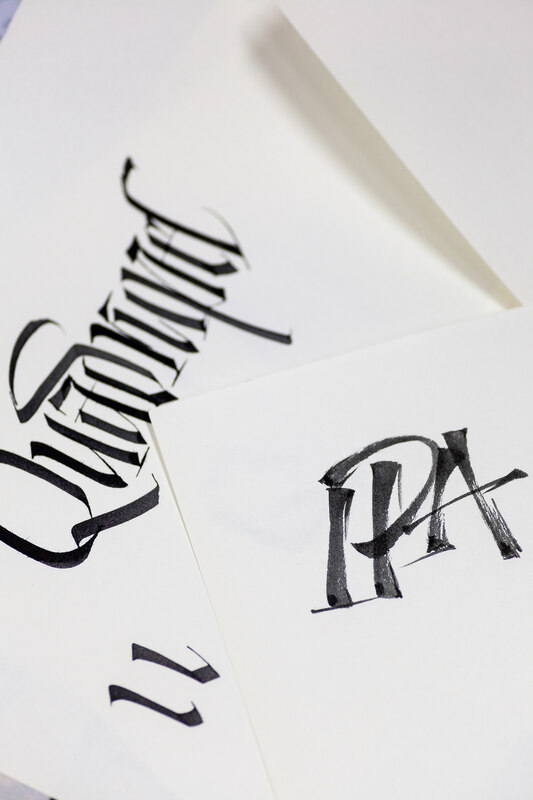 And then there’s the bold and provocative cursive in the word IPA, reflecting the intense and modern character of the respective beer type. 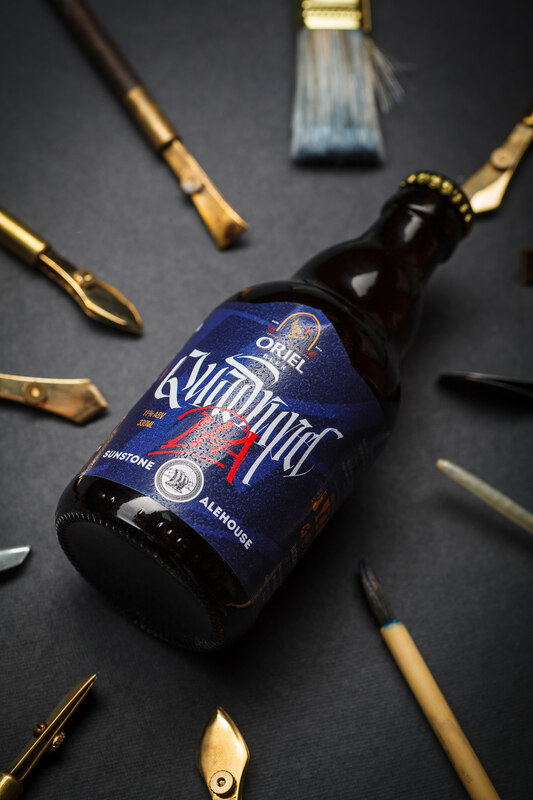 Meanwhile, the general composition and color schemes feature a sense of continuity with respect to the standard product line of Oriel Beer, already familiar to the consumer. 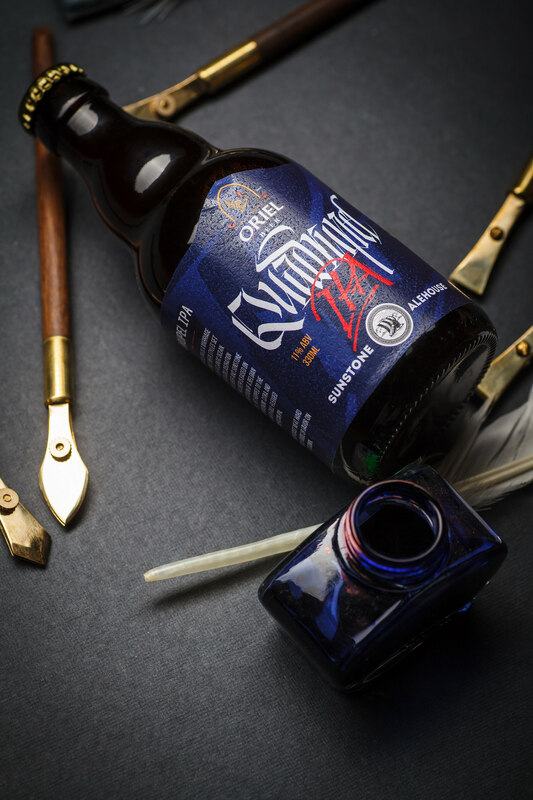 As a result, the design emphasizes the exclusive character of the collaboration, incepted by two breweries in their aspiration to push the boundaries of common perceptions about beer.